for completeness or usefulness by the editor of Enderta.com. No one has came up with unbiased and a clear message which can tie up a formidable knot that will bring a change in Ethiopia. Sebhat Nega of Ethiopia and his organization TPLF should be brought to International Criminal Court (ICC) for a crime they are committing against the people of Samre, Bora Selawa, Hentalo, Abergele, Mechoni and other communities who inhabited the fertile land of Enderta and Raya Azebo. 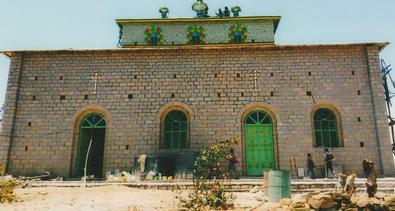 The people of these communities have been systematically uprooted by the agents of Eritrea, TPLF Mafias. We have never witnessed an exodus of Tigreans, especially Sebaa Enderta and the people of Ray Azebo trickling to the streets of Addis Abeba to become "professional beggars" (a quote from Sebhat Nega's mouth) during zemene Hailesilassie and the Derg regime . 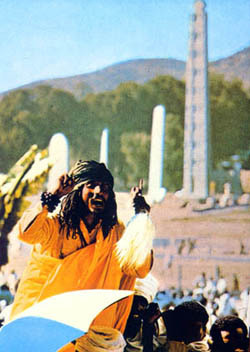 There has never been a single soul from Enderta and Ray Azebo portrayed as a "professional beggar" in the streets of Addis Abeba for centuries. Why the Bandas of TPLF are committing such a heinous crime against the people of Tigray, for that matter why TPLF is destroying Enderta is hard for anyone to comprehend. Why are the whole communities of Enderta and Raya Azebo becoming "Professional Beggars?" 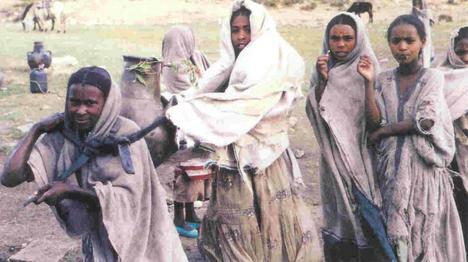 What all Ethiopians should know is that there might have some beggars from Tigray but there was no such influx of a whole community being systematically driven to beg. What went wrong and why did this particular society of Tigray all of a sudden after centuries of dignified survival become a beggar during the reign of TPLF Shaebia? At a maximum this internal manifesto of TPLF to uproot and destroy anything Sebaa Enderta must be dealt with in conjunction with crime against humanity and the people of Enderta and Raya Azebo must have their day in the International Criminal Court (ICC). 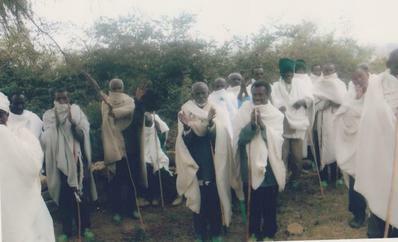 TPLF has been systematically confiscating the land of Enderta farmers without any compensation in order to drive them out of their century old ownership. What has happened and what is happening in Enderta is equivalent to Genocide and ethnic cleansing. We did not forget the assassination of TLF leaders (Tsetsuyat Tegaru, the true sons of Tigray) by TPLF Shaebians in the middle of the night after a day long meeting. The meeting was called by TPLF Shaebia in the name of unifying the two freedom fighters group under one formidable organization. And now we have heard, assassination attempt by members of Genbot 7 was foiled. These is a desperate drama staged by Bereket Simon, Shaebia agent, to harass and intimidate any opposition party and pave the way for the next election, what a drama! TPLF's drama never fails us and the title fits both their mischievous behavior and their manifesto of running a sovereign country the mafia way. TPLF has been assassinating Pure Tigrean fighters by poisoning them, shooting Tigrean intellectual fighters and leaders of the army from behind while they were engaged with the enemy. Staging car accidents under the cover of "darkness" to kill unsuspecting opponents. Kidnapping the elderly and noble men of Tigray under the cover of darkeners, were their whereabouts are still now unknown, this allowed TPLF to destroy the historical facts of Ethiopia which was used to transcend by word of mouth from generation to generation. All these crime against the Tigrean people being perpetrated by its Shaebia security agents using its inner circle Kerbit army (a killing squads which was headed by General Samora). No one dares to raise a question against TPLF Shaebia knowing the consequence of never to be seen again. 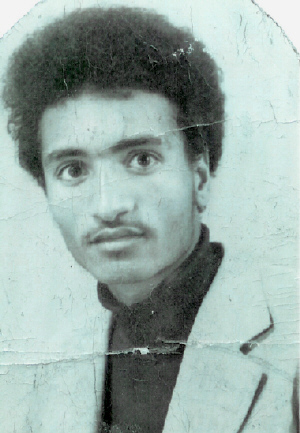 Sbhat Nega and General Samora must have an answer for the assassination of Dr. Atakilti in Tembein, Alene Bihon in Meqele, and to those compatriots who have perished during the Derg period due to TPLF's mischievous behavior against those who did not want to support TPLF during its struggle for Eritrean Independence. TPLF used to pass names of intellectuals Tigreans, who were unwilling to support its struggle to the Derg security squad, where they all perish under the barrel of the Derg's gun. 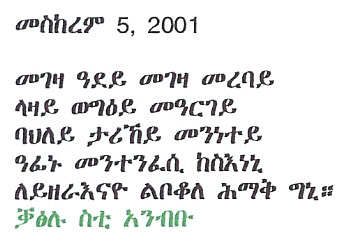 And then TPLF will turn around, claiming to be innocent and use the perished Tigreans name for its propaganda machine. Everybody knows how TPLF stages unfounded innuendo in order to undermine the struggle of the opposition. TPLF's Shaebia cadres are well trained in infiltrating any opposition party and act and behave like an opposition. These agents of destruction and criminals behave above the norms of the Ethiopian culture by enticing hate and division between different ethnic groups. 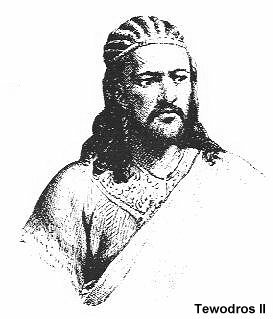 "The origin of Ethiopia is largely the origin of us all." True humility and respect for the Lord leads man to riches honor and long life. "Let us not love with words or speech...but with action and truth." G. Samora Yonus, Who Killed Alene Bihon? 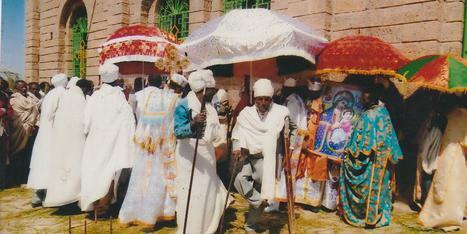 Deqi 70 Enderta, the back bone of the Tigray community. 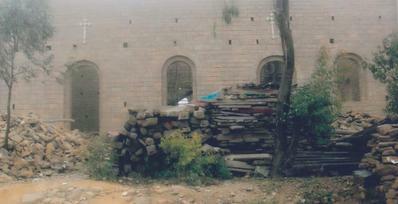 Enderta farmers are well known through out the centuries for their meticulous ingenuity in farming. The envy of neighboring awrajas. The Recent Political Development is alarming which prays on Tribalism and Treason. Since when is the country being silences while someone is being bought to address the issue of the outsiders?